With a new year on the horizon, our Lehigh Valley, PA, orthodontist knows many people will be resolving to lead healthier lives in various ways. Often, these resolutions involve dropping bad habits and getting more exercise, and while that’s a good thing, it’s only a piece of the puzzle. Make this the year you get serious about your overall well-being and add healthier teeth to your list of resolutions. Our Lehigh Valley orthodontist offers a few easy ways to make it happen below. First and foremost, make the commitment to brush and floss your teeth daily. Add mouthwash and you’ve got a big piece of the puzzle to a happy, healthy smile. Bacteria grows in your mouth continuously, so cleaning your entire mouth at least twice a day is recommended by our Lehigh Valley orthodontist. The best way to maintain optimal oral health is through prevention. Committing to a daily routine means keeping bacteria, plaque, and tartar at bay year-round. In order for your teeth to be healthy, especially if you have braces, watching what you eat and drink is another piece of the puzzle. According to our Lehigh Valley orthodontist, it’s important to avoid sugary foods and drinks, plus those that are highly acidic. These substances can eat away at the enamel on your teeth, causing tooth decay and more serious problems. If you’ve been on the fence about seeing an orthodontist because you don’t like the look of traditional braces, then you’re in luck! Advancements in modern orthodontia means you now have treatment options that allow you to straighten your teeth discreetly. 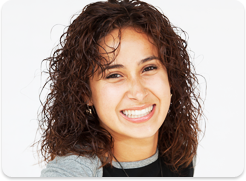 Our Lehigh Valley, PA, orthodontist is proud to offer clear braces, lingual braces, and Invisalign to our patients. 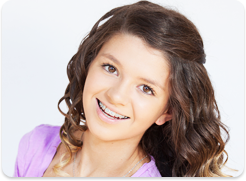 Each treatment option offers advantages over traditional braces, but determining which is right for you will be up to you and our Lehigh Valley orthodontist. Want More Tips? See Our Lehigh Valley, PA, Orthodontist! These are just a few of the ways our Lehigh Valley orthodontist suggests resolving to make healthier teeth your priority this year. Beyond a straight smile, maintaining your oral health is essential to your overall well-being. Neglecting your teeth can lead to other serious health issues, so make 2018 the year you commit to healthier teeth! Contact our Lehigh Valley, PA, orthodontist for more tips or to schedule a consultation. The information provided in this article is not meant to be medical advice and is for educational purposes only. If you would like to learn more about this and other orthodontic-related topics, feel free to contact Spark Orthodontics, with a convenient orthodontic office near Lehigh Valley, PA, by clicking here or by calling 610.865.2777.